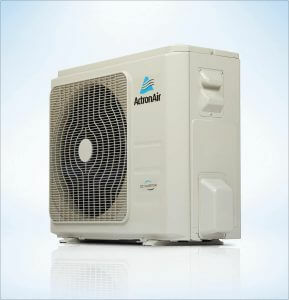 Actron Air Wall Split is a cost effective solution for air conditioning a single room in your Perth home. The Actron air wall split is the perfect solution when you are on tight budget. Because you can buy and install air conditioning room by room as there is room in the budget. If you are considering 3 or more wall splits. You might want to do the numbers on a Actron ducted air conditioning system. Pricing on wall split system would start from $1300.00 dollars fully installed. This would be based on back to back installation. Easy on the eye the Serene Actron air wall split has a sleek modern design for the indoor unit. Multi directional air flow. you can adjust up or down and side to side. Therefore you can point the air in the direction you need. Turbo Mode when you need the temperature brought down in a hurry. Get cool faster. Multi speed fan control . This will let you adjust the airflow just the way you like it. Led temperature display concealed LED display provides easy to read temperature settings when you need it, and a clean uncluttered finish when you don’t.